Q. How do I log in to the Baker Book Catalog? 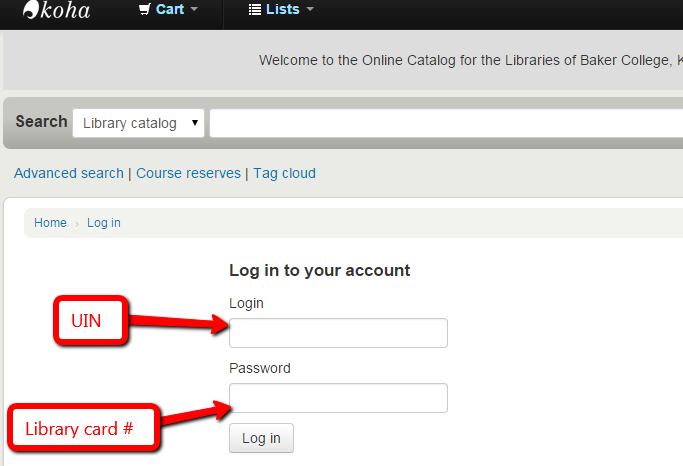 To log in to the Book Catalog use your UIN number as your login and your library card number as your password. You can get both of these numbers on your ID card or by logging in to MyBaker. If you need additional assistance, please contact your Campus Library/ARC.